Following the Easter holidays, members of the local community were invited to Cardinal Newman College for an Easter party, which was hosted by our Essential Skills department and the Chaplaincy team. The Essential Skills students decorated the party room with Easter themed bunting and had made a host of delicious cakes for their guests. They had also arranged some party games, including a “Name the Easter Bunny” competition, with the winner correctly guessing that the Easter bunny was called David! Our guests enjoyed a lovely lunch prepared by the College catering team and an afternoon of cards, dominos and other fun. 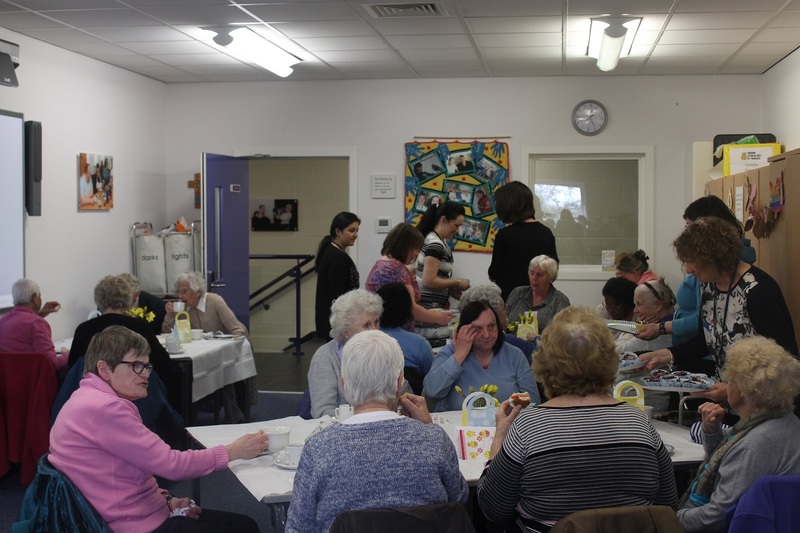 The chaplaincy team regularly arranges events, including lunches and parties for a group of local elderly residents as part of the College’s commitment to supporting the local community.